CG events produced by Kamikaze Douga. 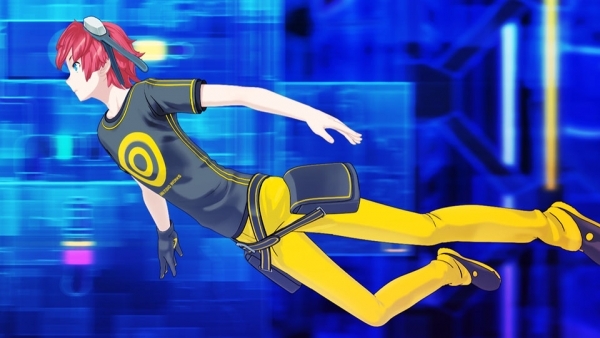 Bandai Namco’s latest Digimon Story: Cyber Sleuth media blast reveals the game will feature CG event scenes from Kamikaze Douga, and introduces new areas in the lower level area of Cyberspace. Some of the events that occur in the Cyber World will be shown through high-quality CG movies produced by Kamikaze Douga. Cron – The lower level area of Cyberspace has become a debris-filled data graveyard. The data drifts formed a dungeon, and is a dangerous area the general users do not approach. Additionally, the vast transmissions from a Digital Wave make up a communications network called “Cron” and flows into the lower level dungeon. The intermixing of all kinds of data causes mysterious phenomena in the lower level dungeon. What drama awaits players in the lower area? Some of the Digimon you’ll meet in the lower level of Cyberspace include Hagurumon, Palmon, and Terriermon. Naturally, you’ll battle wild Digimon inside dungeons. With the help of your Digimon comrades, you can strike the enemy.